Sentek EnviroSCAN RS-485 - NexSens Technology Inc. 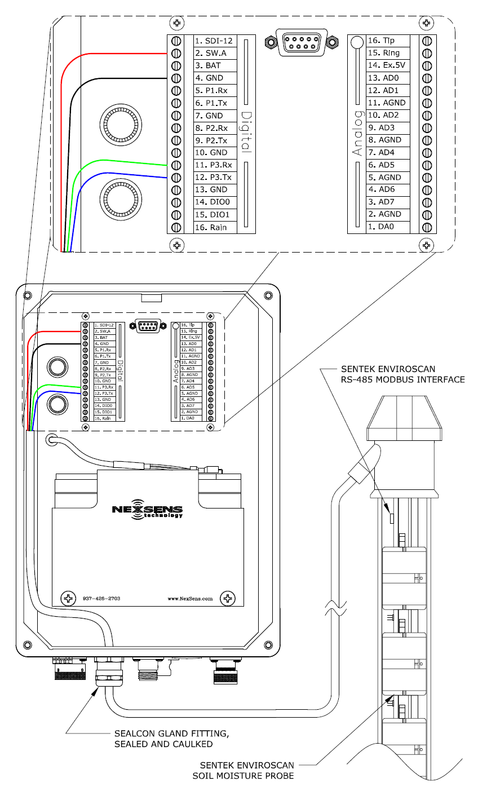 Instructions for interfacing the Sentek EnviroSCAN RS-485 with a NexSens iSIC data logger. Figure 1: Wiring a Sentek EnviroSCAN RS-485 Sensor into an iSIC Data Logger. Figure 2: The internal wiring of the Sentek EnviroSCAN RS-485 Sensor. 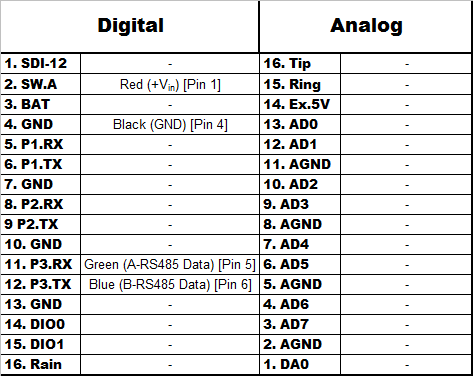 Figure 3: Table for wiring a Sentek EnviroSCAN RS-485 to an iSIC Data Logger.